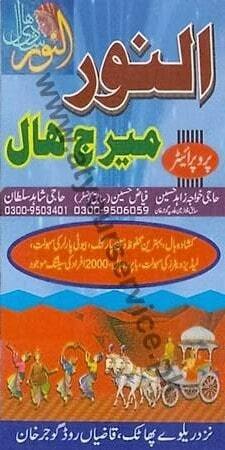 AL Noor Marriage Hall is located on Qazian Road, Gujar Khan. Capacity up to 2000 persons is available. Ladies waitress service and Beauty Parlour facilities are also available.